Palshus Ceramic Marmalade Jar. 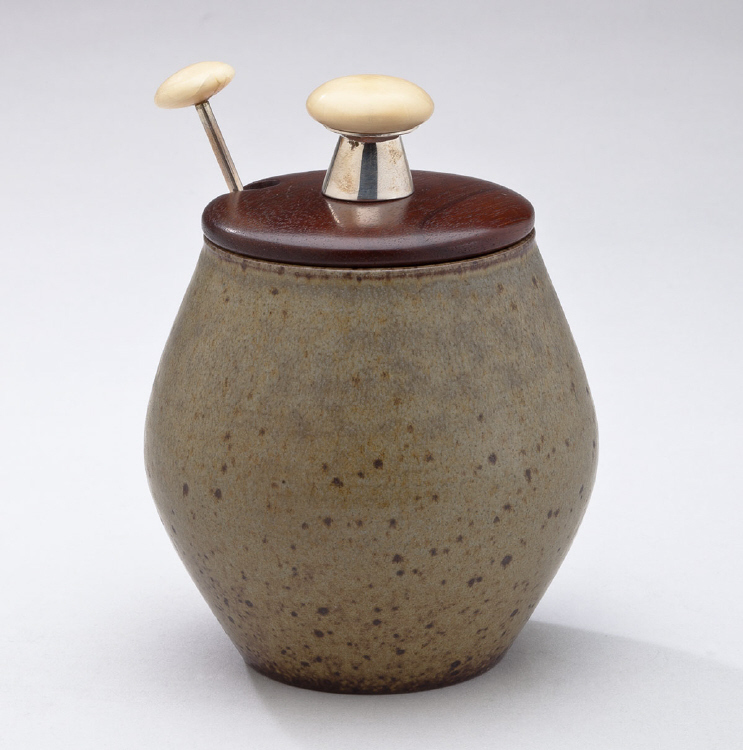 This Danish Modern jam pot was made by Per Linnemann Schmidt in 1971. This pot has earthy green gray glaze. 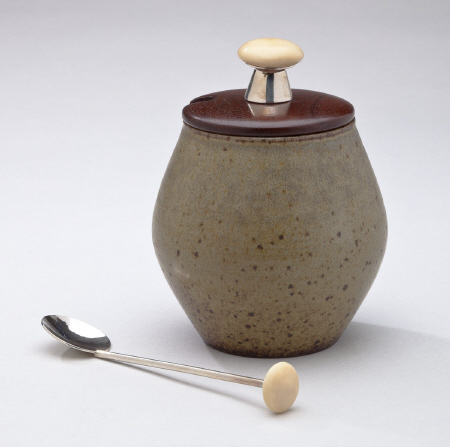 The pot is fitted with a fruitwood lid topped with a sterling silver and resin button topped finial and a jam spoon to match. This piece measures 3.75 inches high and 3.75 inches in diameter. 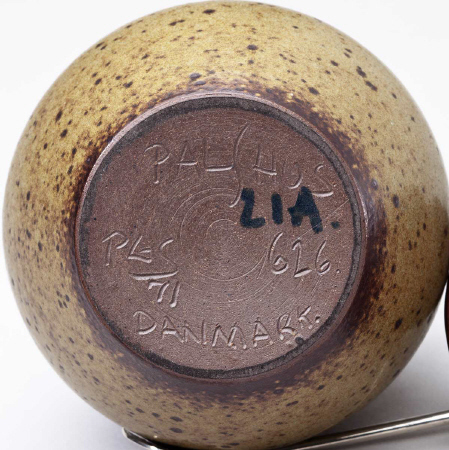 This pot bears incised marks for Palshus, PLS, 71, 626 Danmark.